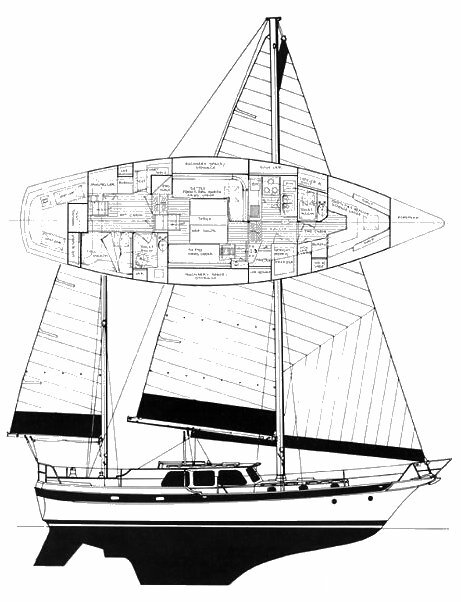 There were three version of the CSY 44: PILOT HOUSE, MID COCKPIT, and WALK THROUGH. The PILOT HOUSE version, shown here, has an aft cockpit and a second steering station. Most of these were delivered with a ketch rig. 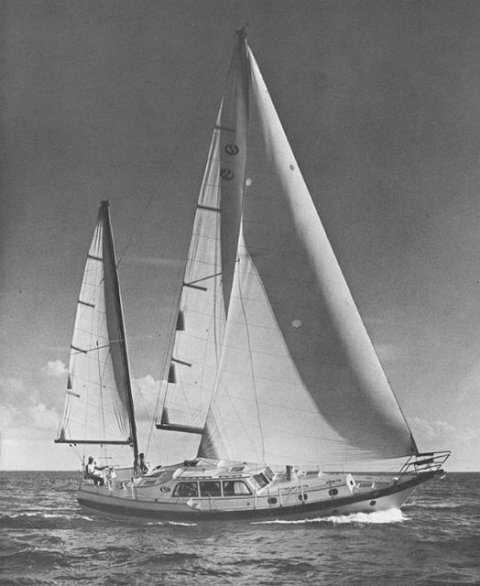 The CSY 44 was also sold under a number of other names including the CYGNET 44 and later, the ANTIQUA 44.